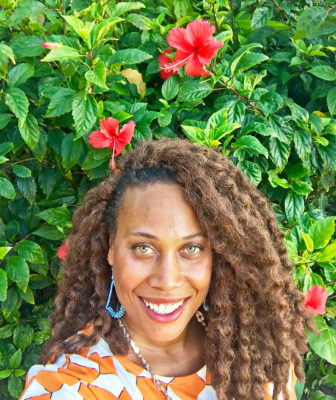 Khalilah Birdsong is a visual artist with a studio practice based in Maui, Hawaii. She creates abstract paintings that explore issues of depth and line. Fields of variegated color serve as her foundations: multi-hued paint progresses across the canvases, artfully uneven in saturation, conjuring a sense of movement and force. Birdsong’s color palette presents more juxtapositions still. Studying the alternating hues, a viewer may come to see the way that one color, barely visible on the finished surface, can serve to gird and guide the layers that succeed it. Birdsong is represented by Hathaway Contemporary Gallery in Atlanta, Georgia for the Southeastern United States. She also works with the Cincinnati Art Underground in Cincinnati, Ohio, The Fine Art Associates in Honolulu, Hawaii and AHC Projects in Hamburg, Germany. Khalilah has had solo and group exhibitions in the United States, Tokyo and Italy. Her paintings are in private and corporate collections around the world, including commissioned works. Her installation work has been commissioned by corporations in the United States and Tokyo, Japan. Birdsong’s work can be found in U.S. President Barack Obama’s private collection, which is being considered for his Presidential Library. Khalilah has recently been named by Contemporary Arts Curator Magazine (2019) as one of the 100 best future contemporary artists in the world.